This is an urgent alert for the international community and the international media. The Indonesian military and police are set to imminently storm two West Papuan villages and take villagers there “dead or alive”. We are extremely worried about all civilians, especially women and children and we call upon the world to please closely monitor the situation. In the past few days, news has filtered out through West Papua about of a standoff between Indonesian military and police personnel, and West Papuan “rebels” in the Tembagapura region; which is located right next to the world’s largest goldmine of operated by Freeport McMoRan. 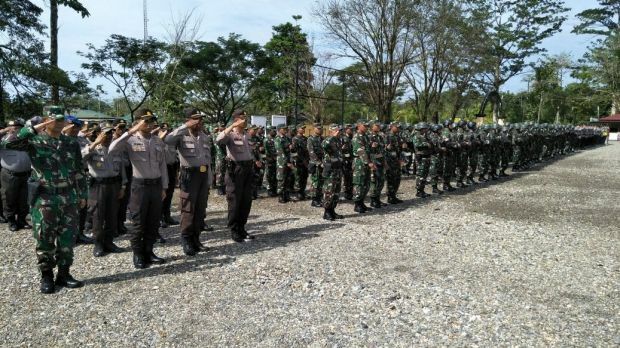 At least 200, and possibly up to 700 Indonesian military and police personnel are currently surrounding the villages of Banti and Kimberly and are imposing a blockade, making it almost impossible for people to leave and enter. 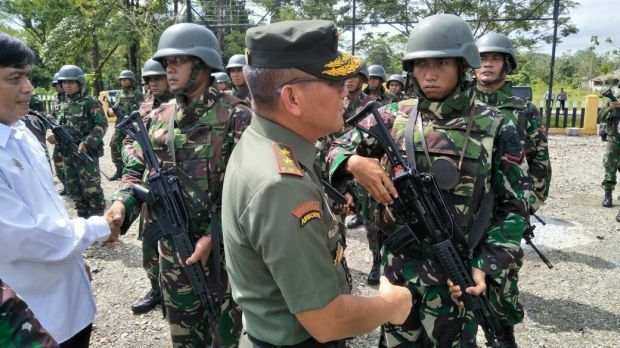 According to latest reports, the Indonesian Security Forces are set to imminently storm the villages, with Indonesian police spokesperson Suryadi Diaz saying of the 100-people targeted, ‘They will be taken dead or alive,’. Meanwhile the Indonesian military and police are trying to stir up panic, describing the situation as a “hostage” crisis in order to justify armed military raids on West Papuan villages openly speaking out against the Indonesian occupation of West Papua and the Grasberg Mine operated by Freeport McMoRan. 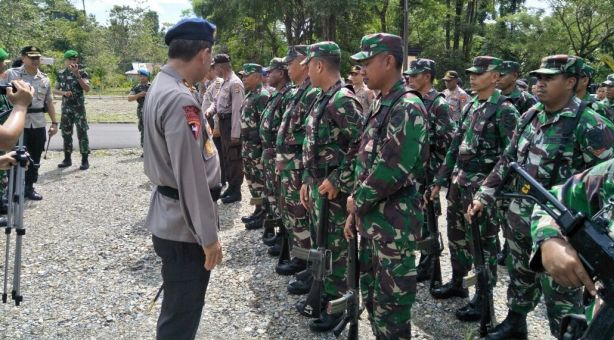 The people of Banti and Kimbeli are effectively under siege by the Indonesian military and police and are in fear that if they leave their villages they will be killed. A West Papuan mother described how on 10th November, the Indonesian military and police stopped and searched her while she was carrying groceries on the road between Banti and Tembagapura. According to her testimony, the Indonesian military and police stopped her and searched all her goods, confiscating a bag of rice and a cigarette. They asked her, “Who are you spending this lot on?” and she replied that she is buying groceries because there is hunger in around 7 villages. “They are being intimidated and reluctant to garden, so they’ve just been living and eating just by buying stuff from kiosks. But they’ve also been intimidated by lots of questions by police and military while they buy their food. The Indonesian military and police have a long history of lying to the international community in West Papua. It is extremely difficult to verify reports from the two villages right now. We hope that more international media as possible will be able to freely enter Tembagapura and accurately report on the real situation, helping to expose what the Indonesian military and police are really doing there. We call upon the international community to keep an eye on the urgent situation in West Papua and to advocate for an immediate peaceful solution to the crisis in Tembagapura. We call upon the Indonesian military and police to stop their blockade and allow the people of the villages freedom of movement as well as access to food and medical supplies. The situation in Tembagapura illustrates the climate of violence, fear and misinformation which thrives in occupied West Papua. There is an urgent need for a peaceful resolution to the suffering in West Papua which addresses the root cause of the problems and allows the West Papuan people to determine their own destiny through an Internationally Supervised Vote on self-determination.